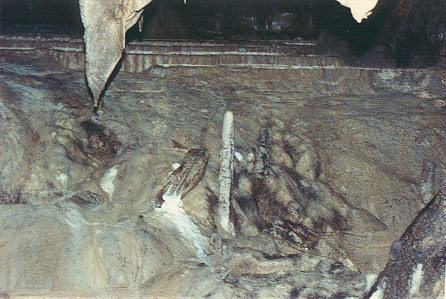 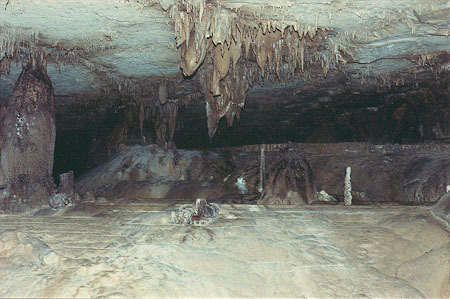 Secret Cave is located on private property near Cookeville in Putnam County Tennessee. 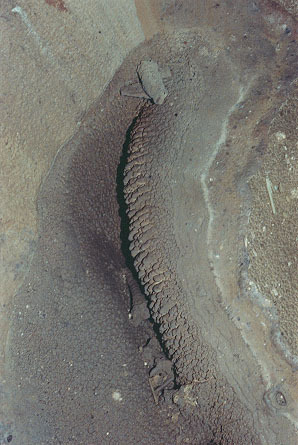 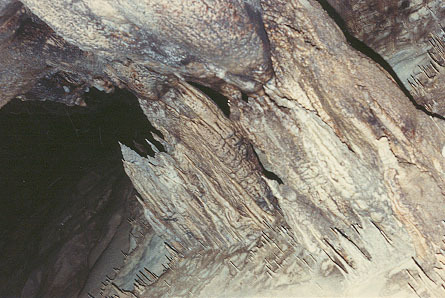 The cave entrance is through small hole hidden between a rock outcrop. 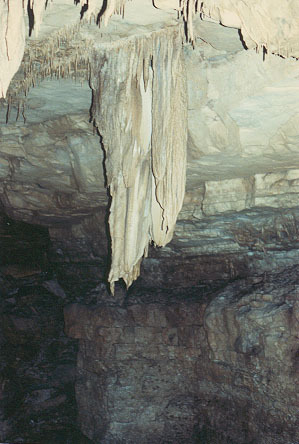 There is a 15-20 foot rappel past an old cave gate that once blocked the opening. 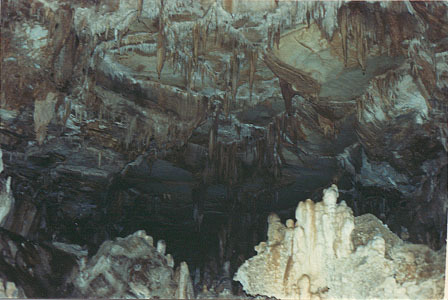 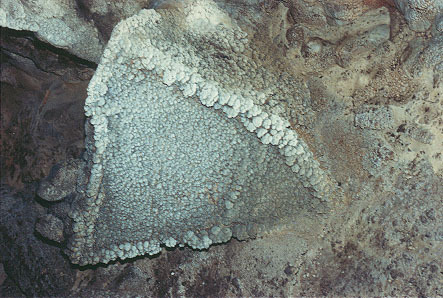 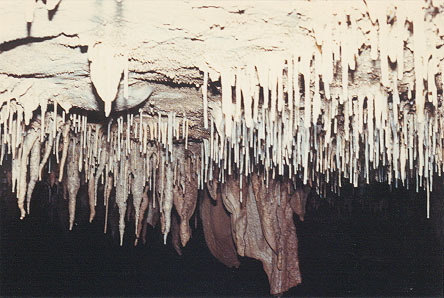 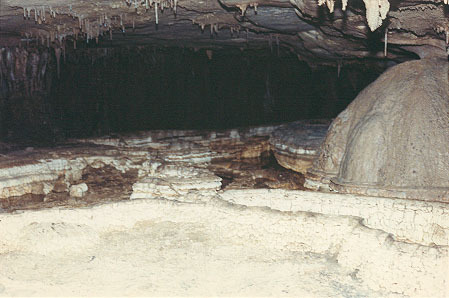 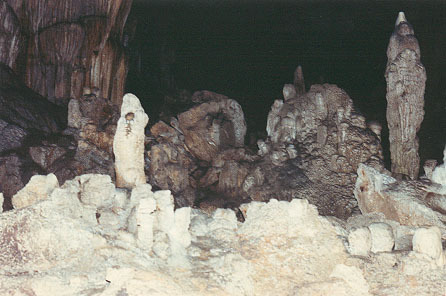 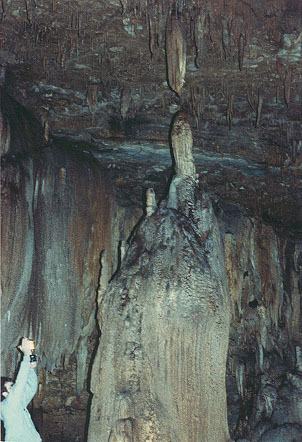 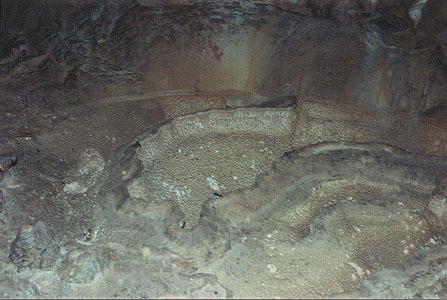 Below is one of the caves many formations, this formation is known as Satins Triangle. 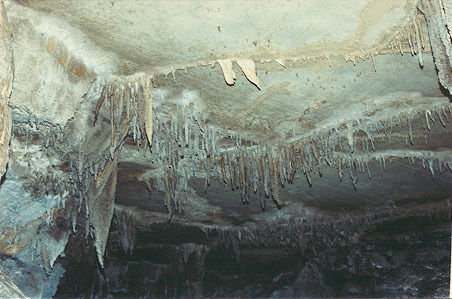 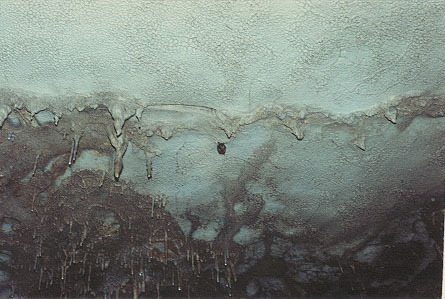 Below, a small bat on the ceiling of Secret cave.